It was a beautiful day to troop this event. I had two first on this one and had a super time doing them. The first one was to do a 2.5 mile troop in my armor. the longest I had done to this point was a 1 mile troop in the Gator bowl parade which was another great troop however one could say it was two miles as we had to walk back to the staging area and we were still in armor. The second thing was wearing a Kilt for the first time ever. 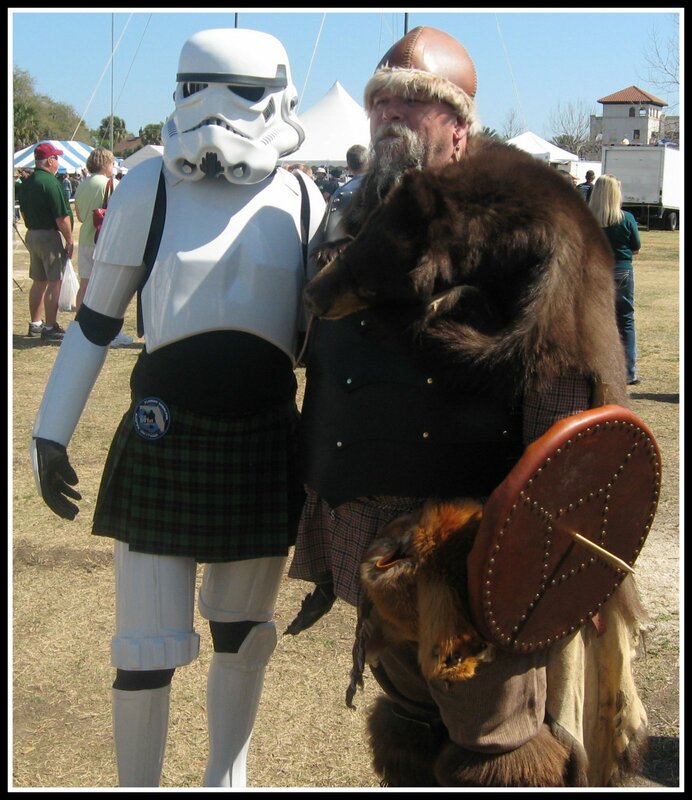 I was suited up and ready to go when Michael Joiner (A.K.A Vader) pulled me over and handed me a Kilt to put on and shed some of the armor I was wearing. My first reaction was, OK this belongs to Vader the very tall big guy and he hands it to me the 5.6 guy. No matter they wrap it around me and pull it up and well its a bit to big and I have no means really to tighten it up. So I search the trunk of my car for something, anything and come across a black bungee cord. I tinker with a way to make this work and hide most of the cord and then I was ready to troop on and doing it Kilt style. 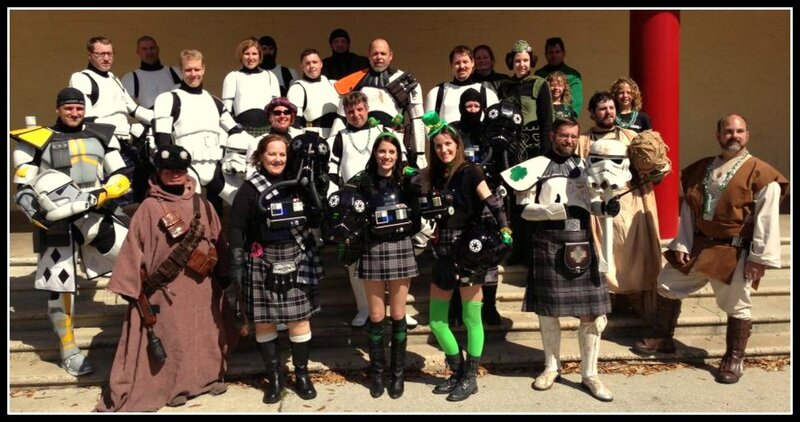 I am forth from the left in the green kilt. I have rounded hand guards. The fun continues as we head over to the festival that is taking place all day long. A lot of troopers stayed in their kilted armor but I delivered the one I had back to Michael and family with thanks for the use of it. I joined everybody and enjoy some of the festivities and wrapped up my day and headed home to relax a bit. This is my 5th troop since joining the 501st and Squad 7.